The Washington Surgi-Clinic provides a wide-range of complete gynecological and pregnancy termination services. We can also be reached at (877) 659-9403 or at (202) 659-9403. When Can You Get a Chemical Abortion? Chemical abortions, also known as medical abortions, are triggered by the use of medications. Although you may hear people refer to the abortion pill, there are actually two medications that are both taken to cause pregnancy termination. You’ll take the first pill at the clinic and the second at home. If you think you might want to terminate the pregnancy with medications, you’ll need to consult a gynecologist as soon as possible. There is a short window of time to get a chemical abortion. Pregnancy test on calendar background. Pregnancy care concept. 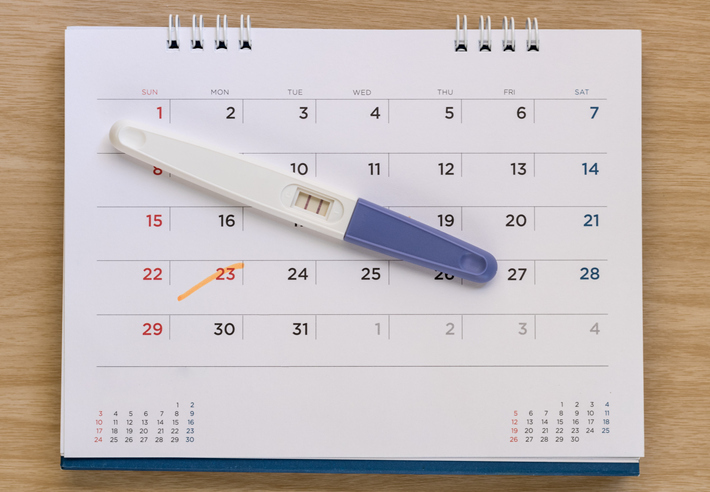 Pregnancies less than six weeks by menstrual age may be terminated with medications. Medical abortions are highly effective. But in some cases, women still need to return to the clinic for a surgical abortion to complete the procedure. Before making the decision to have a chemical abortion, let your gynecologist know about your full health history. Women who have certain medical conditions and those who take certain medications, like blood-thinners, will need to have a surgical abortion instead. Washington Surgi-Clinic performs safe, legal second and first trimester abortions. Women can call (202) 659-9403 to request a private, confidential consultation with one of our compassionate gynecologists in Washington, D.C. The office is closed on Sundays and on major federal holidays.